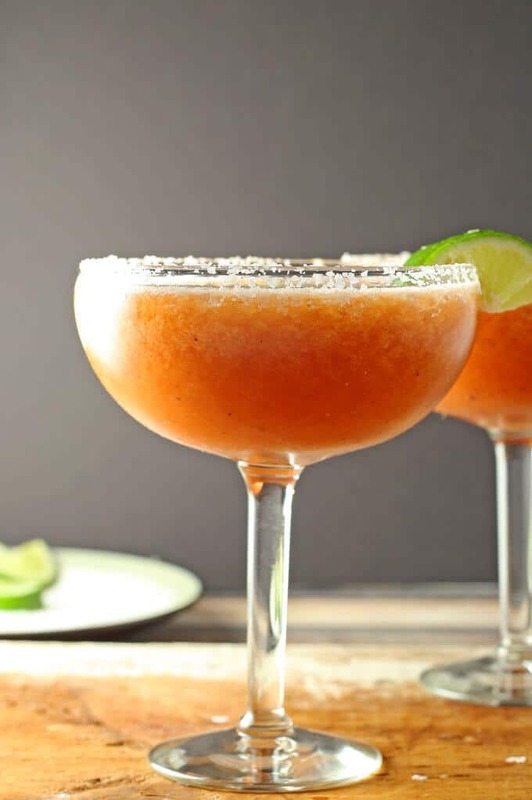 The bloody margarita combines the best parts of a bloody mary and margarita into one cocktail – perfect for a fun Sunday brunch, fiestas, and of course, Cinco de Mayo. Is it a bloody mary? Is it a margarita? If you feel like celebrating Cinco de Mayo all year long and woke up this craving a little tequila, this is the drink for you. I’ve combined my favorite parts of a traditional bloody Mary with my favorite parts of a margarita. Some of my favorite traditional components of a bloody Mary include tomato juice, celery salt, Worcestershire, and hot sauce, all of which I included here. You may notice that the Horseradish is missing – personally, I didn’t think that was a good addition to this drink. If you can’t bear the thought of a Bloody Mary without some horseradish, add it but in very small doses. Horseradish is one of those ingredients where too much comes quickly. To make this cocktail a half margarita, I had to do more than just replace the vodka with tequila. 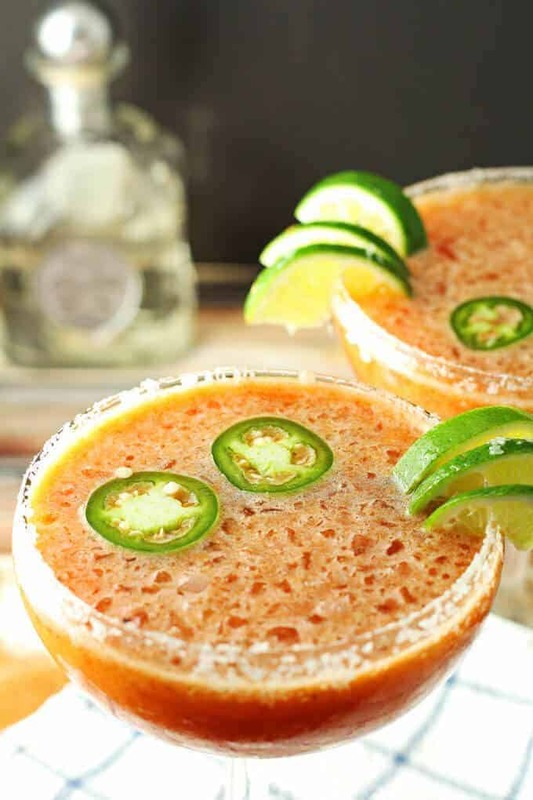 Margaritas usually include something with an orange citrus flavor, like Grand Marnier. Instead of adding more alcohol, I decided to add orange juice. Blend it up, pour it into your glass and enjoy – its refreshing and would be a great addition to a fiesta themed brunch. 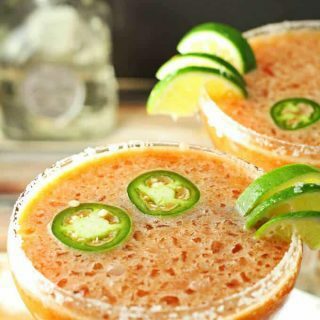 The bloody margarita combines the best parts of a bloody mary and margarita into one cocktail - perfect for a fun Sunday brunch, fiestas, and of course, Cinco de Mayo. In a cocktail shaker or large bowl combine all of the ingredients except for the ice and the garnishes. 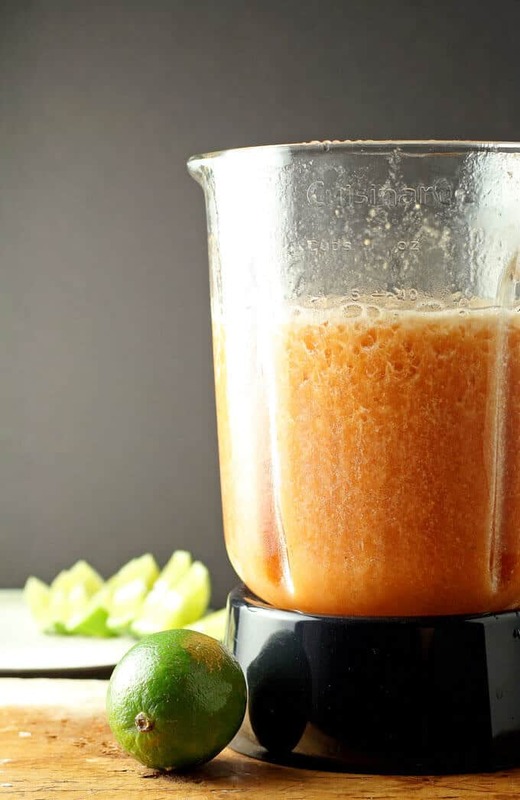 In a blender, crush ice until the ice cubes become small particles. Pour the liquid mixture into the crushed ice. Pulse the blender 2-3 times so the mixture combines with the ice. Looking for more cocktails? Try this meyer lemon and pomegranate margarita! Or this rum, orange and carrot cocktail! I have still never had anything like this before.. it may be time to give it a try. I hope you like it Tegan! You always have the best drink recipes, Jenny! This one looks great, as usual! Pinning! This sounds so delicious! Thanks for linking up at Found & Foraged. See you tonight at 8PM!